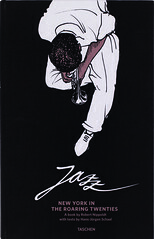 Handsome may be the word to describe this book, conceived by German illustrator Robert Nippoldt, a lavish telling of the story of jazz in New York. Texts about its movers and shakers – Fletcher Henderson, Coleman Hawkins, Duke Ellington, Paul Whiteman et al – are added to pieces on recording techniques and important locations, to summon up the glories of the uptown world of jazz in Manhattan in the Gatsby era (perhaps that explains its translation into English this year – it originally appeared in 2007 in Germany). These texts are set against Nippoldt’s slightly crude hatched felt-pen-like drawings, all done in black, brown and beige (to quote a Duke Ellington suite). Of course, the problem with ‘handsome’ is that handsome is a lot about the façade. There are dynamic spreads that are seductive as you glance through, but on examination appear a little flimsy. 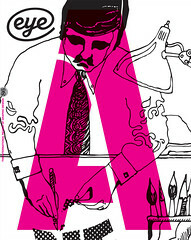 A book created art-first, with a luxurious flatplan giving the drawings primacy over the space, it somehow doesn’t quite justify the size – even with the layers of fact boxes detailing recording careers and instruments played. These cute little touches – the use of musicians’ signatures, instrument symbols and small drawings of the main players dropped into the text where their name appears – are nice, but the attention to detail falters when it comes to the type, with a truly nasty italic choice. 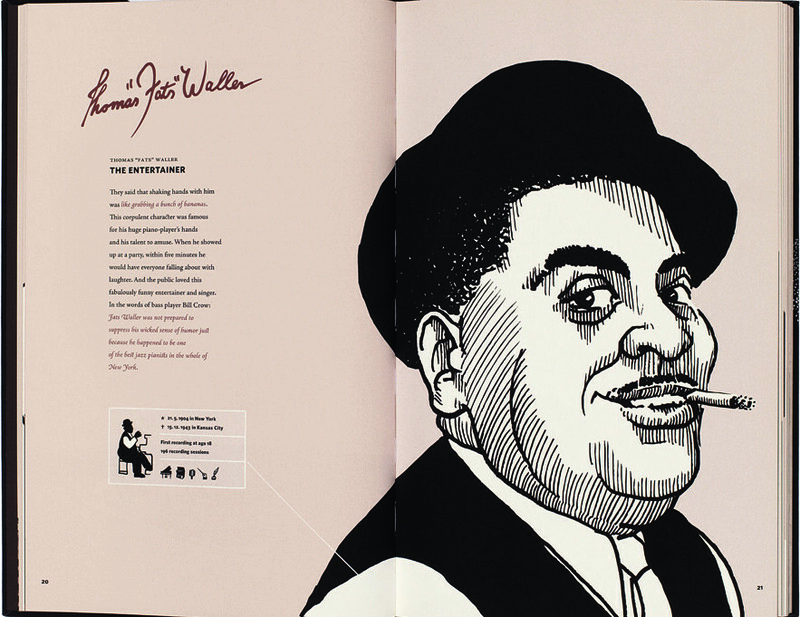 Top: illustration of ‘Fats’ Waller by Robert Nippoldt from Jazz: New York in the Roaring Twenties. For every lovely touch (audience shadows on the front of Armstrong’s stage, reminiscent of Watchmen), there’s a rather rotoscoped Joe Venuti. For every vivid Manhattan nightscape, there’s a clunkily drawn cornet, not working hard enough for the space it occupies. There are some cool graphic ideas – a map showing the locations of the hot nightspots, and a brace of spreads with the waveforms of the twenty songs from the attached CD, along with a timing graph (only Rhapsody In Blue, commissioned by Paul Whiteman from George Gershwin, is longer than 3 minutes 20 seconds, and continues by itself onto the second spread). But looming over all drawings of old musicians is the shadow of the great Robert Crumb. Looking back at Crumb’s work you understand what’s missing here – it’s that lunatic passion that inhabits Crumb’s line, that puts fire in the eyes of his portraits. In Nippoldt’s hands they’re pleasant enough photo-derived graphic representations, but they’re missing some magic, not really alive. And the same goes for the text – a good enough introduction to the subject (albeit not impressive to the jazz scholars that I ran it past) but lost in a hinterland somewhere between the vivacity of a true comic-book tale and a proper work of scholarship. In the end I didn’t quite know who the book was intended for or, indeed, where it will find its audience. Certainly anyone with more than a passing interest in jazz would enjoy being reminded of these composers and singers and players, but whether they would indulge the pages of blown-up record surfaces or annotated drawings of old gramophones, I’m not sure. According to the note at the back, ‘[Nippoldt’s] screwball book projects put the fear of God into him and his publishers’. I can see why.